The first of them is the main view of the application, clicking the "GO !" 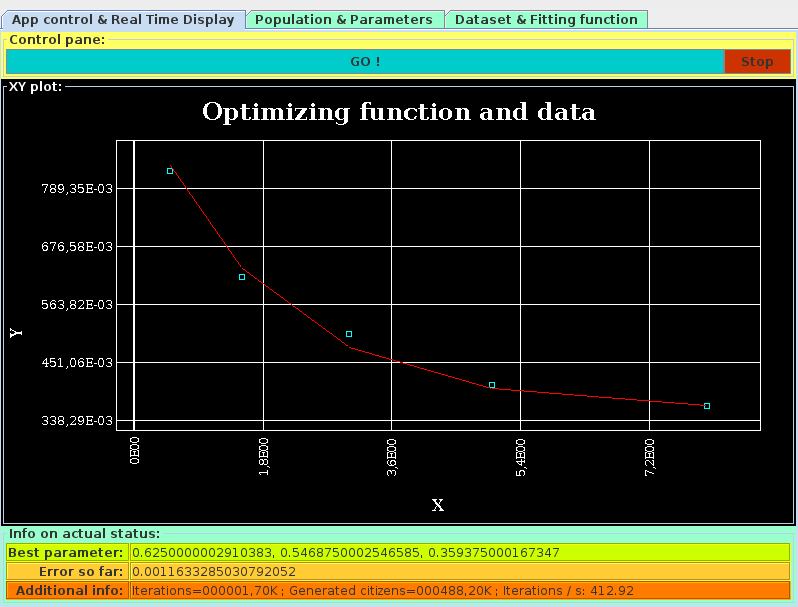 button the optimization starts, the best parameters and the dataset are plotted as the optimization procedes. On the lower part of the windows the best parameters and current error are shown as well as some statistical data on the current run.